In Chapter 4 we saw that God is on His throne and is in control, a great comfort for the Church under persecution. We'll continue on in our journey through the great book of Revelation next by being introduced to the Worthy Lamb of Chapter 5. Feel free to watch, listen, or read along by clicking one of the icons below. In the midst of the glorious scene of worship which John describes in Chapter 4, he suddenly notices a little scroll in the right hand of God, a scroll that is sealed with seven seals. A mighty angel asks, "Who is worthy to open it?" John is very concerned about that scroll because he knows what it is. It is the title deed of the Earth. That title deed is important because this Earth was created for man. God gave man dominion over it, but mankind lost that dominion to Satan when Adam and Eve sinned against God. One of the reasons Jesus died on the cross was to restore the Earth to the children of God. That's what He meant in the Sermon on the Mount when He said, "The meek shall inherit the earth." He was quoting a promise made in the Old Testament in Psalm 37. Jesus paid the price on the cross to redeem this promise. It will be fulfilled when He returns. So, John is concerned about the Earth's title deed, especially because no one in Heaven seems worthy to open the scroll. But, he is suddenly told that his concern is unfounded because there is one who is worthy. He is the "Lion of the tribe of Judah." When Jesus steps up to the throne and He takes that scroll, all of Heaven breaks forth in a mighty song: "Worthy are you to take the book, and to break its seals; for you were slain, and purchased for God with your blood, men from every tribe and tongue and people and nation. 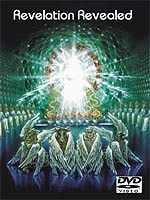 You have made them to be a kingdom and priests to our God; and they will reign upon the Earth." Notice the promise that the redeemed, "will reign upon the Earth." Those who deny a future reign of Jesus try to argue that He is reigning now through his saints, the Church. But, if that is true, then He is doing a very poor job because all the nations of the world are in revolt against Him and the Church is caught up in apostasy. Furthermore, the Word says that when Jesus reigns, "The earth will be full of the knowledge of the Lord as the waters cover the sea." And no such condition exists today. The Heavenly host is clearly singing about a time yet future when the Redeemed will reign with Jesus upon the Earth. Again, this is the reiteration of an Old Testament promise found in Daniel 7. In that chapter, Daniel tells us that he saw a night vision in which the Son of Man was presented to God the Father and was given dominion over "all the peoples, nations, and men of every language." He then adds that "The saints of the highest one will receive the kingdom and possess the kingdom forever." In the next part on this series on Revelation, we'll witness the terror of the first six Seal Judgments in Chapter 6 and be introduced to the 144,000 witnesses in Chapter 7.
um, not to bring up an old point but the nkj is more accurate here "you have purchased US...and redeemed US...and made US to be kings and priests..." i looked up men in this passage in the niv concordance and it said "nig" meaning not in greek text and the word in the manuscript is hemas meaning "us" or "our" the word them is "autos" so its the church singing about themselves.